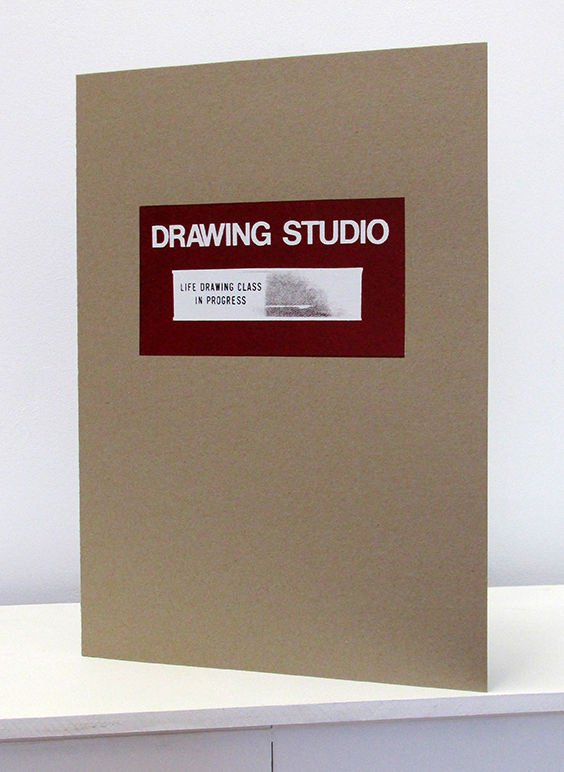 The Drawing Studio is a custom print project incorporating drawings by Kiri Mitchell. These were then translated onto plates by second year students with assistance from Kiri. Students involved in the project were Hayden Burke, Maeghan Good, Joshua Hunter, Xanthe Naylor, Sophie Prinselaar-Smith and Georgia Shearer-Schultz. This exercise helped develop the students’ etching and printing skills. Processes included hard-ground, soft-ground, aquatint, sugar-lift, chine-colle and photo transfer. 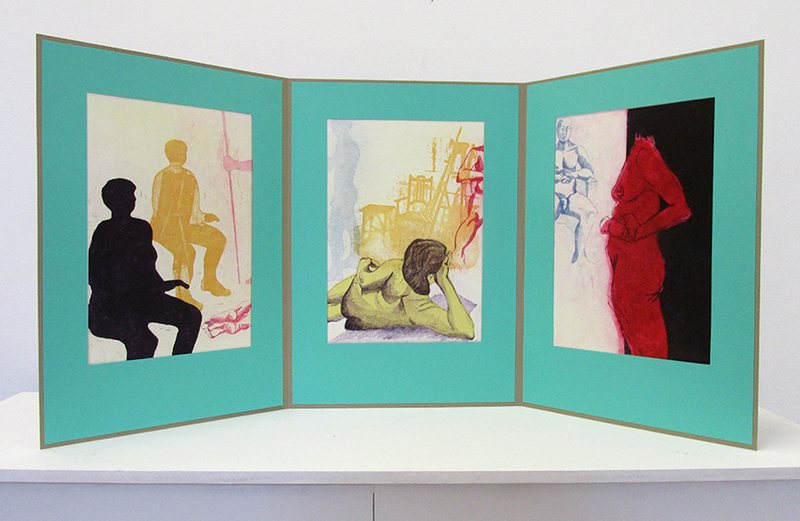 The result was a stunning multi-coloured set of three prints in a screenprinted portfolio in an edition of 20. At the launch of the portfolio with Georgia, Sophie and Kiri.